Front of house design and fit out for quality assured fire and security company, Tecserv UK. Tecserv UK Ltd. provides fire and security alarms, access control solutions and CCTV surveillance equipment for commercial, industrial and prestige buildings located across the UK. 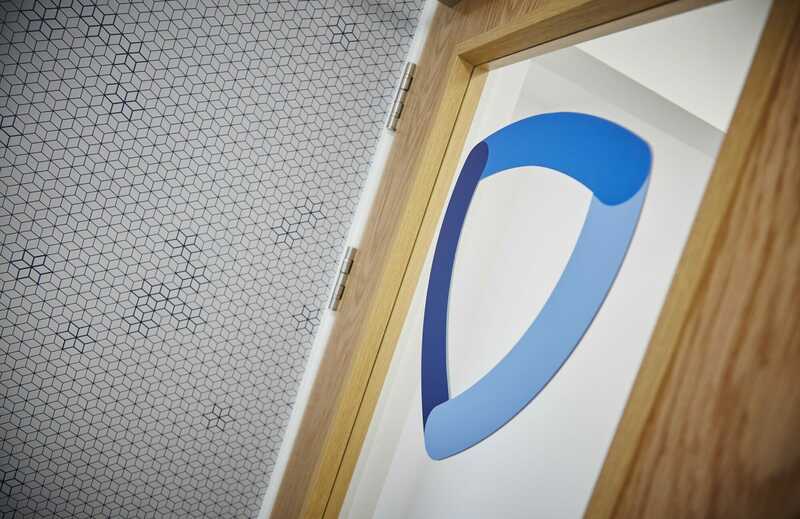 Tecserv came to us with the desire to create a front of house space that lived up to the quality of service they provide, and that would impress their visitors and clients. When we initially met Tecserv they were about to celebrate a milestone company anniversary, had recently rebranded, and also launched a new website. 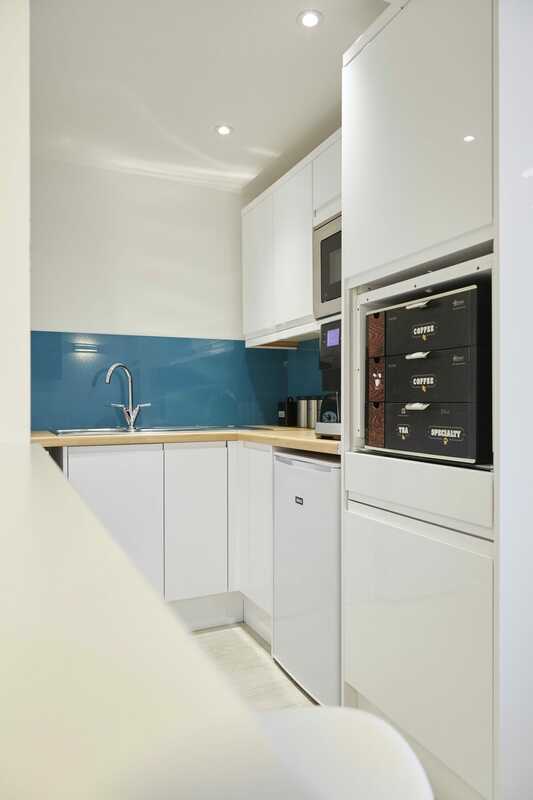 Their impressive list of clients include The Ritz Hotel, St Paul’s Cathedral, Harvey Nichols, The National Trust and Pinewood Studios, so our brief was to remodel their physical offices so that their visitors felt they were meeting with a quality assured fire and security company that they could trust to protect their people, processes and property. Tecserv’s new brand guidelines document was our basis for completely transforming the design of all of their front of house areas. 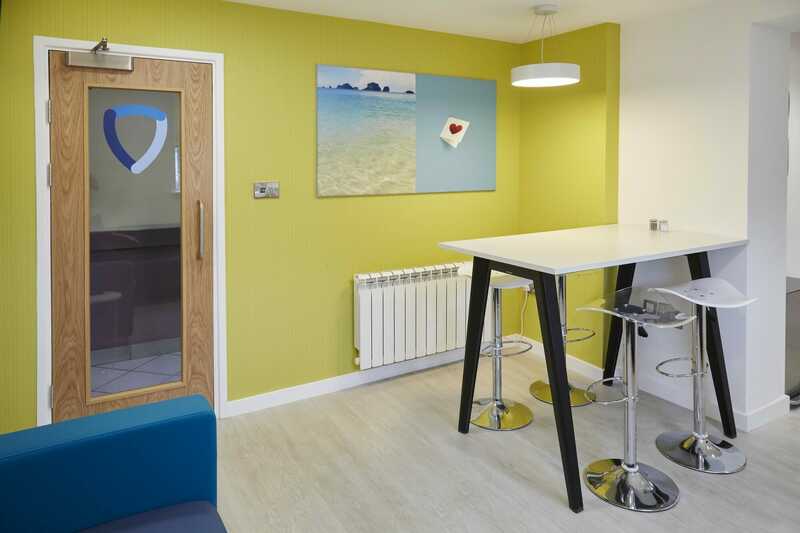 This included the main entrance, client boardroom, staff canteen and the corridor leading to the main offices. 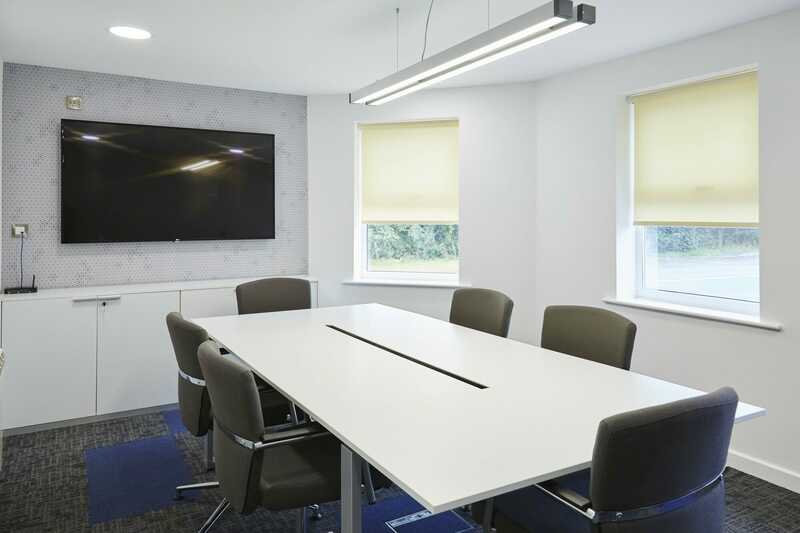 We furnished the main entrance to create a warm welcome, added AV screens to the boardroom to help with the company’s design demonstrations, and gave the staff kitchen facilities a complete makeover by opening up smaller spaces to create a larger, brighter area fitted out with modern kitchen facilities. 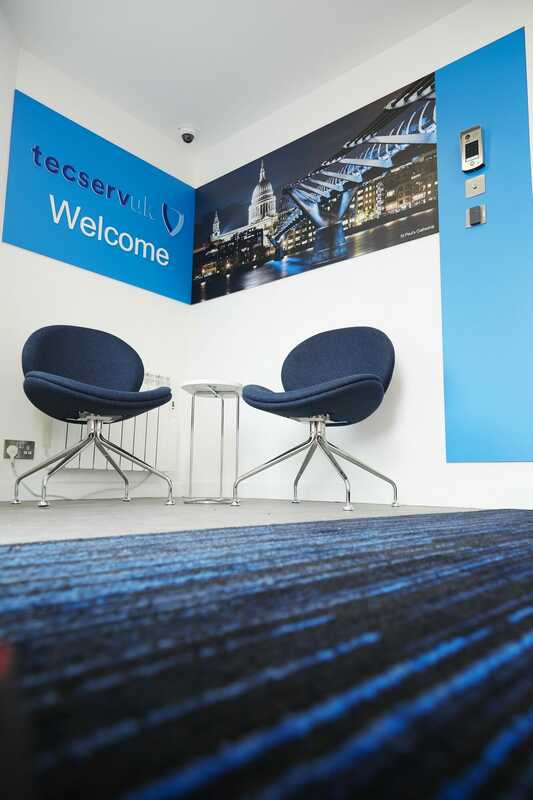 The main corridor was also redesigned to help communicate Tecserv UK’s credentials, with feature walls including large scale images of some of the prestigious buildings the company protects. Our front of house was pretty drab, and certainly did not match either the calibre of client we work for, or the quality of service and expertise we offer. 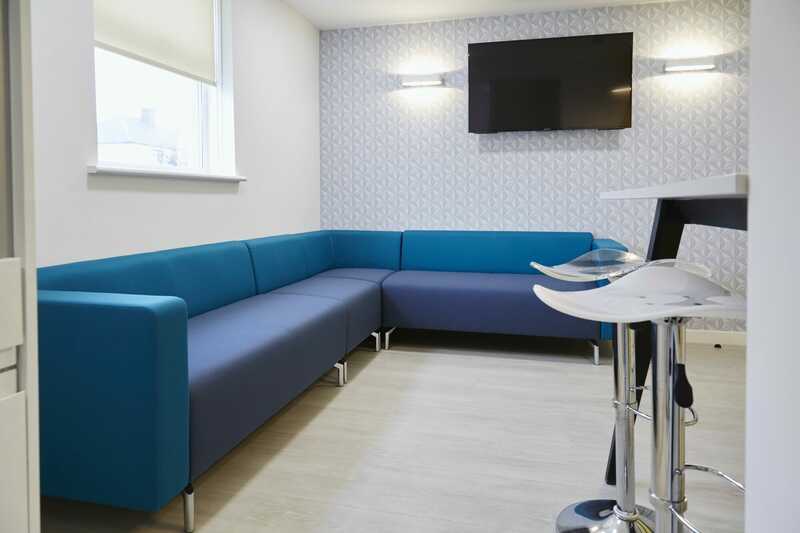 Blueprint understood our brief perfectly and have provided us with much-improved front of house facilities that we are very proud of. 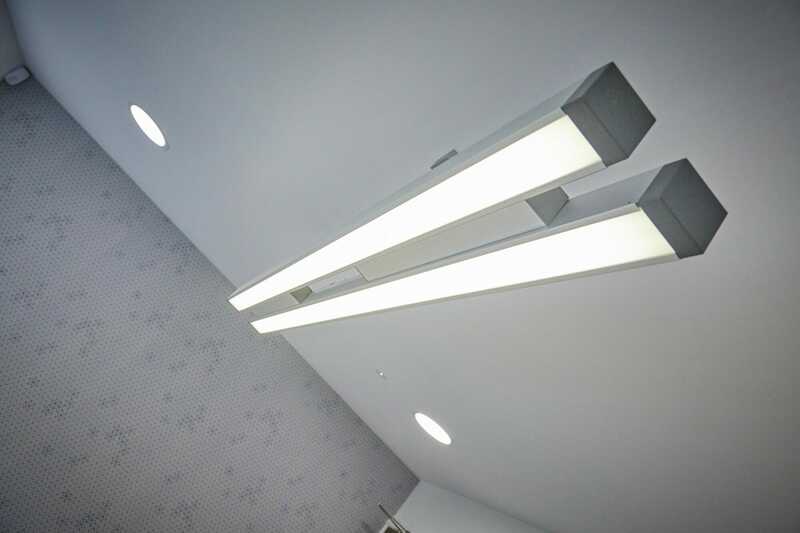 They project managed all contractors working on site and were quick to resolve any issues that arose during works. We are now much more confident about inviting important clients and supply chain partners to visit our head office as we know our building now conveys the same messages they will get when they meet us face to face at their premises or visit us online. Contact us to find out what we could do for you.